Violet Lim founded Lunch Actually in Singapore in 2004 with her husband. For career-focused singletons struggling to find love, lunchtime dating could be the answer. 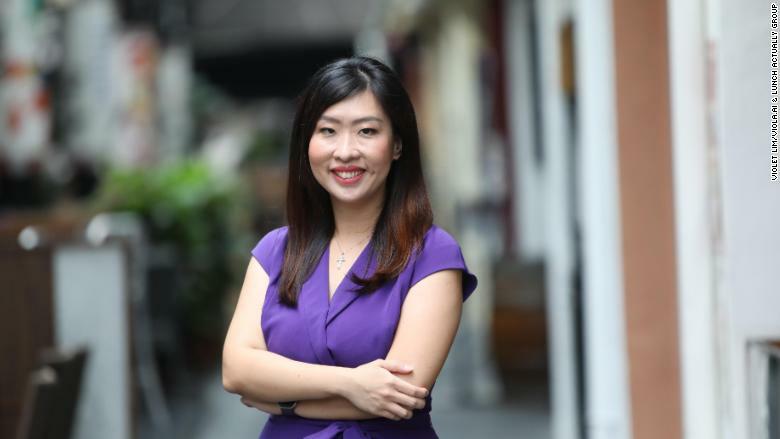 That brainwave inspired Singapore native Violet Lim to launch Lunch Actually, a personalized service that matches customers with a lunch date. "I knew instinctively that helping people find love is something that I would be able to excel in," Lim told CNNMoney. Fourteen years later, she says her company, the Lunch Actually Group, has created over 3,000 successful pairings. It now operates in six Asian cities with a total of 1.4 million users. The firm's Lunch Actually service, which matches each customer with a date after a face-to-face consultation, was how the group started out. And it remains its flagship brand and biggest generator of revenue, but the company has also expanded into other dating services. Esync is a matchmaking website and app that also features input from professional consultants; Peerage is an upscale service that refines users' profiles and goes beyond arranging first dates; and LunchClick is a dating app that matches users through a Q&A template. And the group's newest project? Letting robots do the matching. Last year, it unveiled plans for Viola.AI, an app that uses artificial intelligence to help singletons find their match and blockchain technology to verify people's identity. It hopes to launch the service globally this year. The cities where Lunch Actually currently operates are Singapore, Hong Kong, Kuala Lumpur, Bangkok, Jakarta and Penang. The company declined to comment on its valuation. It last raised money from investors in September 2016. Lim said she launched Lunch Actually in 2004 after years of being an agony aunt for her friends -- a "shoulder to cry on" for those with relationship problems. The idea to start a dating service had begun to take shape while she was working as a management associate at Citibank. "I was surprised to see that many of my colleagues were single and not dating ... most of them were eligible and attractive," she says. "I realized that, like many other busy professionals ... they were all busy and married to their jobs." She and her husband Jamie Lee founded the company together. 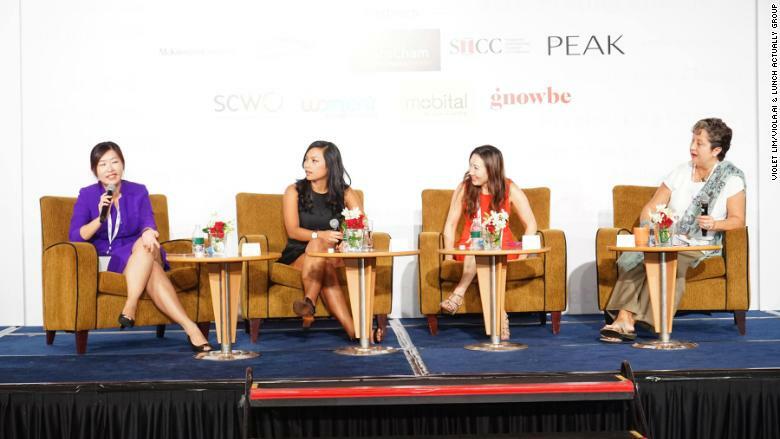 Lim speaking at the Asian Women in Leadership Summit 2016 in Singapore. On top of the brands it created, the group has also acquired a number of other businesses. In 2015, it snapped up dating app Love Out Loud Asia and Thai dating company MeetNLunch. Last year, it bought Indonesia-based online dating platform Setipe. In 2016, Lunch Actually set up a joint venture with Japanese internet dating company Diverse Co to launch a premium dating service in Japan. Related: Will banana wine catch on in America? Despite her success, Lim says she wasn't "born an entrepreneur" and would have stayed in a regular job longer if she hadn't come up with the lunch-dating idea. "The dating and relationships industry is not easy," she admits. "It can be extremely emotionally draining ... we are constantly dealing with people's feelings and emotions." But she doesn't think any other business is as fulfilling as hers: "I can make such a huge difference in a person's life and help them find lifelong happiness."